From a cursory examination of the literature, one might conclude that research and authorship on adenomyomas passed seamlessly and directly from Cullen to Sampson in 1921; Cullen’s last contribution appearing in Volume two and Sampson’s first article in Volume three of the Archives of Surgery.1 Such was not the case. Unlike the clear and seamless continuity from von Recklinghausen to Cullen, the transfer of authority from Cullen to Sampson was mediated and complicated. 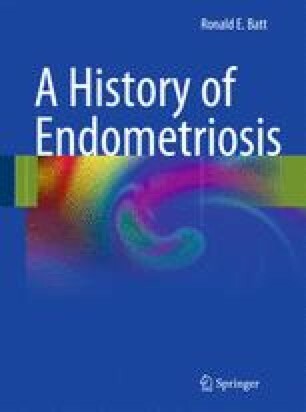 Cullen remained the undisputed authority on uterine adenomyomas, but not of extrauterine adenomyomas. In the sense that Sampson postulated a novel theory of pathogenesis to explain the many extrauterine adenomyomas described by Cullen – and in that sense only – there was continuity: mutual interest in the same subject, but the torch had not been passed as it had from von Recklinghausen to Cullen. In every other sense, the transition was marked by discontinuity.